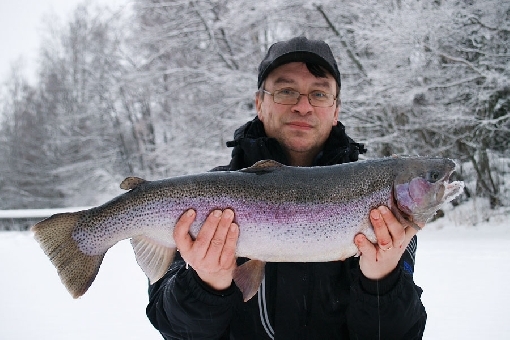 Rainbow trout is the most common game fish on many rapids sites, small lakes and angling ponds. The species does not reproduce naturally in Finnish waters. Rainbow trout are pursued using colourful flies, small plugs and spoons. When waters are cool, you can find rainbow trout at the heads of rapids and downstream. When waters are low and warm, bouncing a leech in rapids holes is an effective technique. 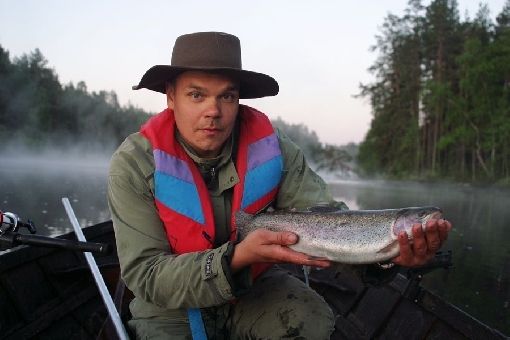 In midsummer, rainbow trout may also bite in a very strong current. Rainbow trout (Oncorhynchus mykiss). Often bite at the heads of rapids. 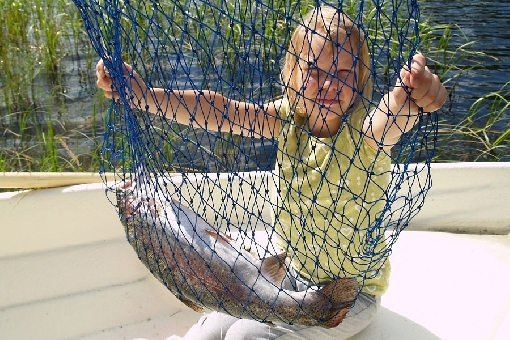 On angling ponds, people use paste bait and 'bait-and-wait' tackle to catch rainbow trout. 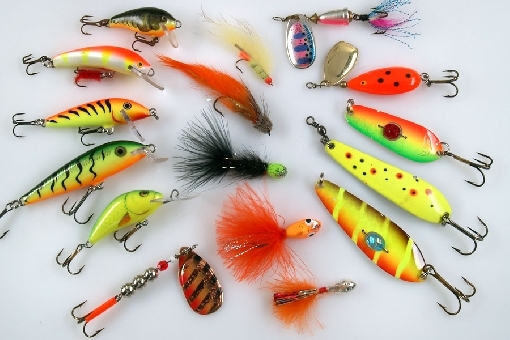 In winter, small balanced sinking lures and spoons are used for ice-fishing on specific rainbow trout lakes. Also leech works well in the end of the ice-fishing line. Rainbow trout is a typical game species at special sites. Rainbow trout divide anglers' opinions into two camps. Many regard the fish as being completely unnecessary 'fatling trout', whereas others feel that this red-flanked bundle of muscles is, on the contrary, a fascinating game species and often quite a reliable one as well. 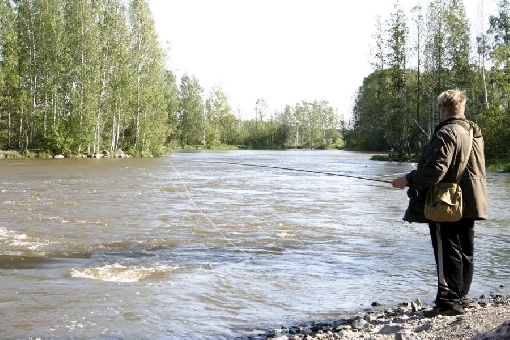 The Herralankoski Rapids in Lempäälä is one good site for rainbow trout fishing. 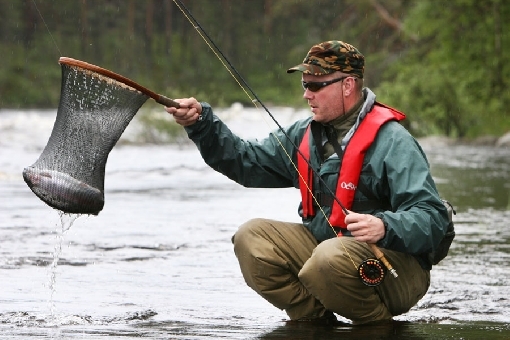 Rainbow trout is a common game species on River Merikarvianjoki and on many other rivers and rapids fishing sites in Finland.